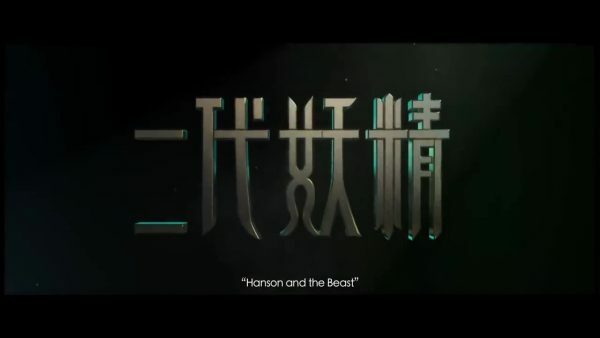 A tale as old as time in Chinese cinema is humans and fairies hooking up, and Hanson and the Beast is the latest incarnation of that situation. To try to switch things up, Hanson throws in a bunch of economic anxiety and racial oppression being used as a tool of power by a corrupt official. The result is a big budget effects film that seems like it has a lot to say, even as there is an obvious point where they ran out of money and the themes are mostly simplistic when looked at with any depth. That being said, Hanson and the Beast manages to be enjoyable in a sweet way and I ended up coming out of it liking it a lot more than I thought I would. Somehow this cynical soul is growing soft as he hits middle age. Must be popcorn poisoning or something! Hanson Yuan Shuai (Feng Shaofeng) is a broke zookeeper (we learn he was bamboozled out of money trying to get a film financed and the resulting drama caused his dad to have a mental breakdown) trying to get rich quick through an arranged relationship deal. He has a gang of tryhard Triads trying to shake him down for the $2 million he owes them, and to top it all off, now a crazy woman is stalking him. Except she’s not crazy, she’s just weird, and believes she is a fox that he saved as a child from some bullies. Of course she actually is, otherwise we wouldn’t have a movie! She’s Bai Xianchu (Liu Yifei – The Forbidden Kingdom, The Four) and her reveal as a fox fairy causes Yuan Shuai to freak out and run down the road screaming in his underwear. What if X-Men was a confusing mess with too many characters, little character development, and an over-reliance on visual effects vs. telling a good story? Besides X-Men 3, you’d also get The Four! Gordon Chan trades mutant powers for qigong skills in this big budget production that follows the trend of Mainland cinema relying far too much on visual effects to carry weak scripts and bland characters. While The Four does deliver some nice looking sequences, overall it fails to achieve its goal of being entertaining, and even fails to wrap up any plot lines in the film. The Four seems to go out of its way to make sure nothing happens. Don’t worry, the obligatory scene where all the main characters fight for no reason still happens. The latest update of prolific (and troubled) Malaysian writer Wen Ruian’s work, The Four has been adapted numerous times for television in Hong Kong, Taiwan and Mainland China. Featuring four male detectives with special powers who work directly for the Emperor and solve problems, this version is distinct for two reasons: It is the first big budget film adaptation, and one of the male characters has been made female. 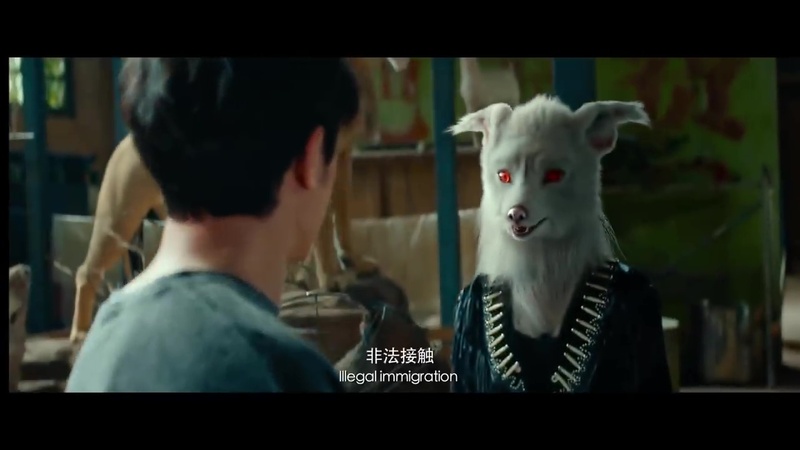 Even China is changing characters around to try to attract broader demographics! In general, I have no problem with that practice. But this specific case causes some problems, as discussed below. I’ll show them, I’ll build a real clockwork orange! Emotionless (Liu Yi-Fei) – Emotionless can read minds/souls, has telekinesis, in a wheelchair…but she’s not a Roman numeral professor or anything! The most powerful and smart member of the Divine Constabulary, but also has handicaps because why else would there need to be three more of them? In the original stories, Emotionless is a man. 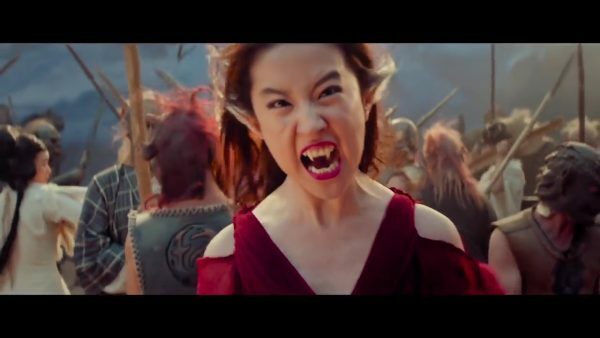 Cold Blood (Deng Chao) – Cold Blood has a demon trapped inside him that comes out when he’s angry and a sword that glows green, but he’s totally not a rip off of the Hulk. Don’t think like that! Cold Blood has legendary sword skills, and legendary puppy finding skills. He worked for Department Six Constabulary until he was fired and then got a job with Divine Constabulary, but he still reports to his old Department Six Constabulary boss. Iron Hand (Ngai Sing) – Despite the fact he’s named Iron Hand, he seems to be a bit closer to stark copy of a Marvel hero, thanks to his great ability to built things in the forge. Electrical powered things. Including wheelshairs. In ancient China. Zhuge Zhengwo (Anthony Wong Chau-Sang) – Leader of Divine Constabulary working directly under the Emperor. His unorthodox working styles is often criticized for not showing the proper respect, usually by stuffy-shirt nobles who are up to no good. It is sort of funny to see the star of films such as Ebola Syndrome given the wise and respected leader role. Ji Yaohua (Jiang Yi-Yan) – The leader of a new crew of female constables that were hired by Division Six Constabulary. She starts crap from the moment of her introduction, and is working for the bad guy. A Penglai kung fu master with questionable loyalties… aka she’s evil! I’ve heard of the Bride with White Hair, but this is ridiculous! Some people are upset over the fact the first time Jackie Chan and Jet Li meet on screen has to be a Western film with a white kid as the main character. I will admit that at first I was skeptical, especially with Michael Angarano’s more than passing resemblance to Shia LaBeouf and how much I hated Transformers. From the surface, this film looks like another example of weak Asian men needing a White Man’s giant magic rod to save the day and show the Asian woman love. The film doesn’t follow that convention, and even ends up not being a terrible film. It’s not a great film, but it could have been much, much worse. Instead, it’s a love letter to old-school kung fu films, even if it isn’t expertly executed. References to older films permeate the movie and help speak to the fans in the audience while giving newer martial arts watchers nuggets to go seek out for themselves. Jason doesn’t become a kung fu master overnight, he gets regularly beat up even though he’s training. Jackie Chan and Jet Li have both been around for a long time, time in which any number of Chinese film companies could have made a movie with both of them. Heck, Jackie Chan even has his own production company, and still nothing with Jet Li! Maybe the whining should be redirected towards those that did nothing instead of directed at those that finally did got around to it but failed to make whatever dream movie you wanted.